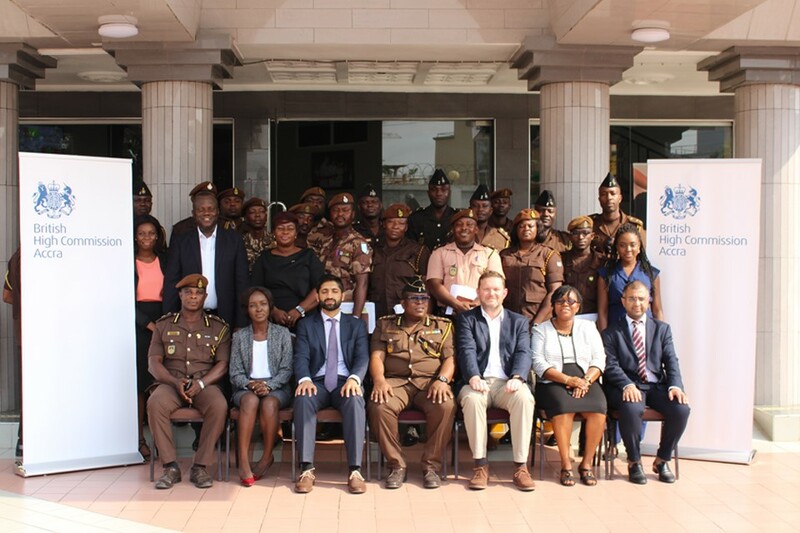 British High Commission as part of an ongoing Capacity Building Project for the Ghana Prisons Service organised a workshop on paralegal skills and criminal law. Head of Political and Communications Team, Mr. Annup Vyas presenting a certificate to one of the participants. This training highlights the British High Commission’s commitment to increasing support for an improved justice system in Ghana. The training aimed at equipping GPS personnel with relevant legal knowledge on local and international human rights laws; basic criminal law principles to enable participants understand ethical issues associated with paralegal duties and to enhance skills in taking instructions from prisoners regarding completion of criminal appeal documents. Drawn from various stations across the 43 prison estates in the country, 60 officers of the Ghana Prisons Service were trained in 2 batches. UK Barrister from Axiom International Ltd. Edward Hand, assisted by the Executive Director of the Human Rights Advocacy Centre, Cynthia Nimo-Ampredu trained the participants. Congratulations, and thank you for your commitment to this course, to your service and to what you’ll continue to show in the coming years. The skills you have developed will stand you in good stead as defenders of the rule of law and human rights values. The training has provided the requisite knowledge to be trainers of trainees and I charge participants to administer paralegal assistance to other officers in their stations. 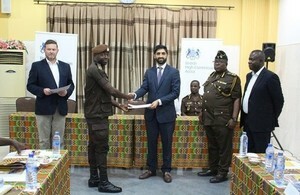 As a follow-up to this course, the British High Commission in its bit to strengthen the UK-Ghana relationship, will subsequently fund Human Rights training for officers of the Ghana Prisons Service. Axiom International Limited, UK and Human Rights Advocacy Centre, Ghana are the targeted trainers.